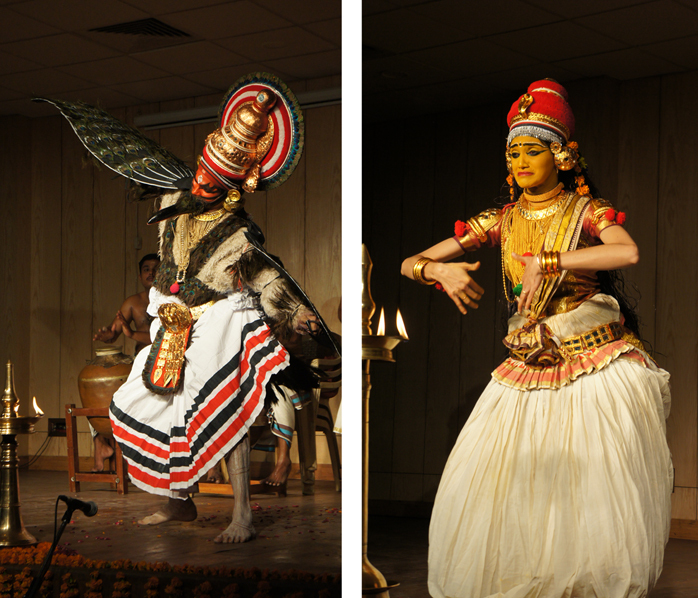 Last November I attended Shastra Utsava, a very interesting festival featuring Panchavadyam, Astapadi/Sopanam and Kudiyattam, unique and very interesting performing arts of Kerala. It was organized by Indira Gandhi National Centre for Arts, and Prof. K.G.Paulose, eminent scholar of Kudiyattam, was the special invitee. 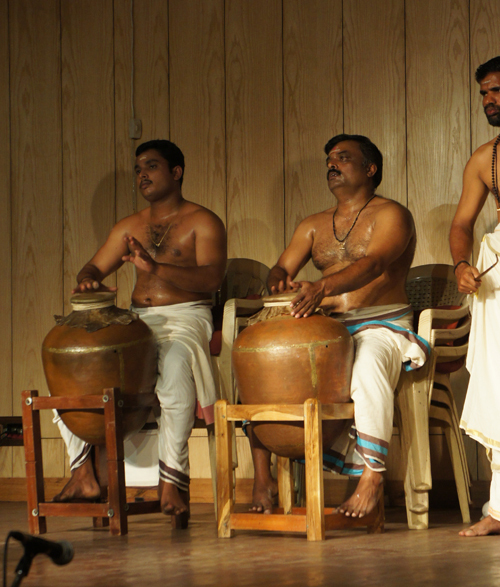 Pancha vadyas means five instruments, which are the drums timila, maddalam and edaykka, the cymbals ilathalam and the kombu horn. 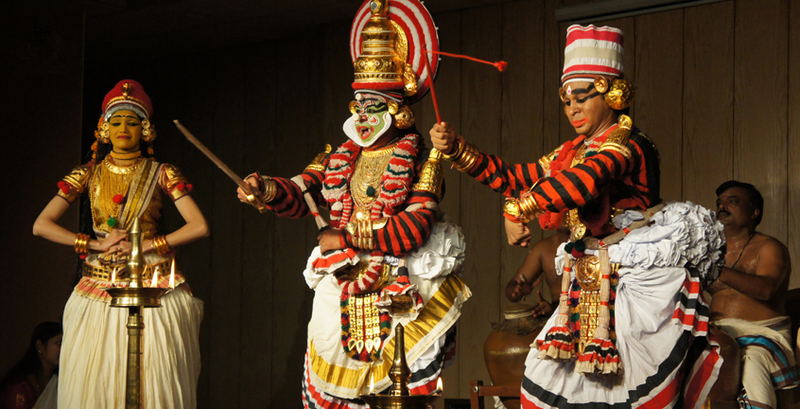 Panchavadyam is considered as one of the most sophisticated art forms in Kerala and the performers are highly respected. It is characterised by a pyramid rhythmic structure and by an ever increasing tempo with proportionally decreasing number of beats in a cycle. It includes composed as well as improvised parts. The huge brass cymbals ilatalam maintain the rhythm patterns while the players of timila, edaykka – both hourglass drums- and maddalam – the barrel drum- improvise in turn. The kombu C-shaped horn marks and embellishes particular passages of the performance. The singing of the Gitagovinda of Jayadeva in Kerala’s temples is called Astapadi. 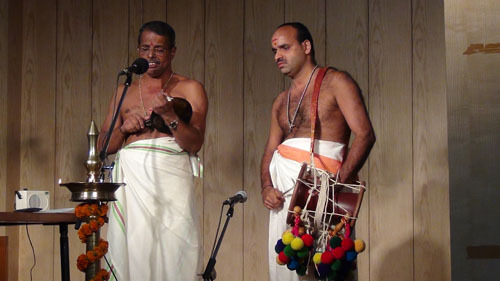 It is performed by musicians – a singer and a edaykka player – standing by the sides of the sancta sanctorum (sopanam). 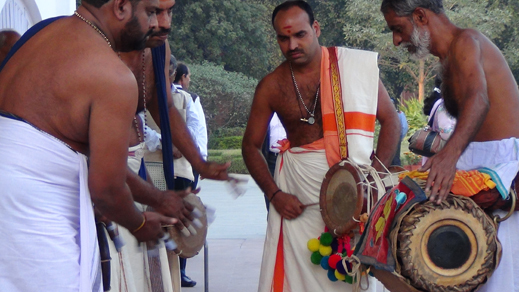 Nowadays, the recital is performed outside the temple premises as well. 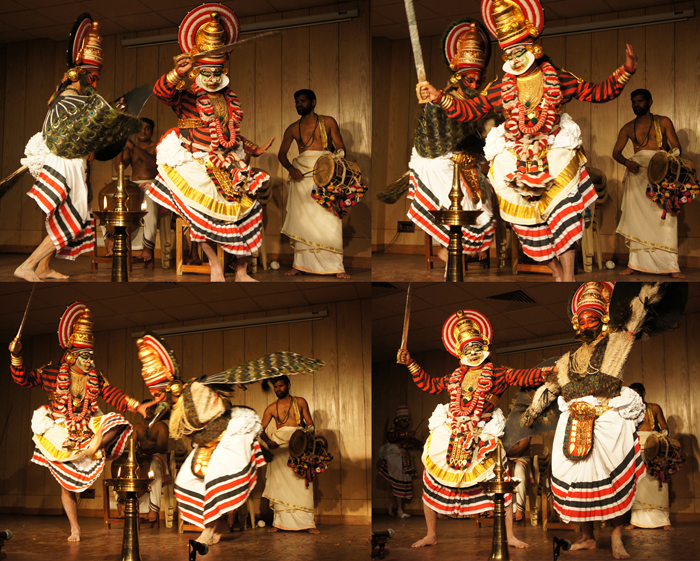 Kudiyattam is the only surviving example of Sanskrit theatre in India; it is mainly based on Natyashastra but incorporates many features of Kerala’s culture and arts. 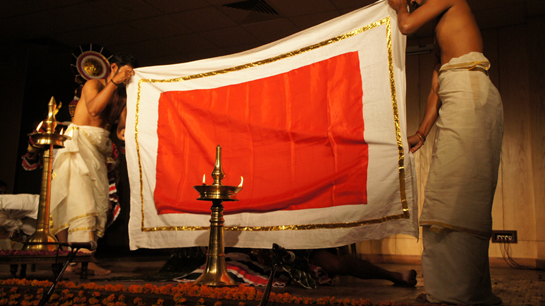 Jatayuvadham is the fourth act of the Sanskrit play Ascharyacudamani written by Sakthi Bhadra Kavi. The story comes from the Ramayana by deviates considerably from the original text. The music, produced exclusively by the pot shaped drum mizhavu and the edaykka, enlivens the performance and gives strength to the actions of the actors. 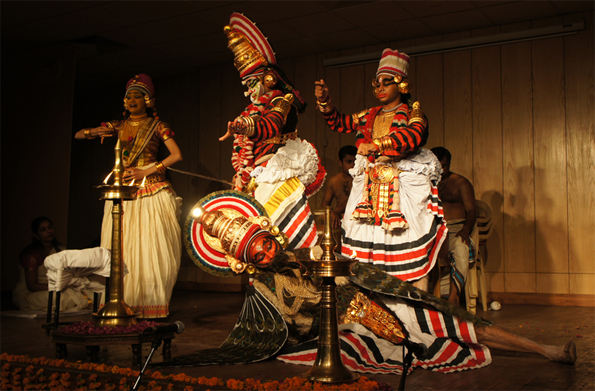 The first scene in Kudiyattam performance starts when Sita is horrified by the sight of Ravana. Hearing Sita’s wailing, Jatayu, a bird friend of Rama, appears and attempts to save her. Jatayu fights fiercely with Ravana, who cuts the bird’s right wing. Sita blesses Jatayu that he will not die before conveying the information to Rama. The drama ends with the exit of Ravana and Soothan taking Sita.